I am Mindy. I have been jobless for almost 10 months despite very active job searching. I sent out many job applications but are either unsuccessful or no further news till now. I dreaded these months of being unemployed. I need help urgently to be granted a job because my savings are almost used up and I am really lost. I have been praying everyday but I felt so helpless. Can the kind praying warriors please pray for me urgently? Please help me pray to God on my desperate request for a job. 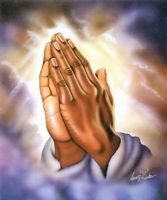 I pray to God to hear me and help me. I am at desperate end. Recently I applied for a job (the job that involves curriculum development and teacher development) that suits me a lot. I prayed that I will successfully be appraised favourably for my resume and cover letter for this job, please let me be successfully be called for this job interview very soon, please let me successfully clear all interviews and tests and please let me be successfully offered this job very soon. I really like this job and need this job desperately. I pray to God to please grant me success in being able to take up this job very soon. God, please grant me success for this job application. Please let me be granted this job very soon. God , please help me and please lead me to success. Thank you God. Thank you praying warriors.